The Voice, Mike Rowe and the Problem of Following Your Passion | Connect. Evolve. Thrive. This entry was posted in Uncategorized and tagged #TheVoice, American Idol, career, career advice, Coaching, Dirty Jobs, Follow Your Passion, last resort, Mike Rowe, passion, Plan B, planning, self help, the voice by Politics in Pink. Bookmark the permalink. As someone who spent WAY too long pursuing my ‘passion’ of music, I appreciate this post. Many of the things that turn our crank do so within certain parameters – a couple of hours a week and it’s fun. Eight hours a day and your livelihood depends on it? Not so much. 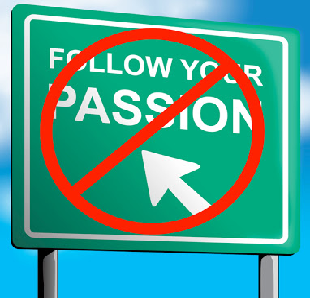 I see far too many people making poor career choices because they don’t realize that the joy they experience in pursuing their passion will quickly diminish if they haven’t understood not only their own talents and needs, but also the needs and interests of others i.e. the market. Being a struggling artist pursuing your passion at 20 I can get behind. So long as you have a clear idea of what the consequences are of doing that for your long-term future. But this same argument could easily be made for most things in life. I spent 5 years doing a PhD. Enjoyable enough, but I’m not sure I was sufficiently aware of the opportunity cost of spending 5 years doing that, instead of doing something else. Julian- You make excellent points. I like your idea that part of what makes people passionate about something may be its very status as a hobby! There are also different times in life to try different paths (and passions) and what makes sense at 22 when you are young, don’t mind sleeping on sofas and eating ramen noodles may not make sense when you are 35 with a spouse, a mortgage and a couple of kids to support! I think one of the things I like about Rowe’s approach is the idea that passion can be stumbled upon. As coaches (and a society) I think we sometimes miss this point. Life is full of opportunities to discover and develop talents. It may not be the dream you started with- but it can become a dream come true. Thanks for commenting. I’m in agreement w both of you. Perhaps I can add, see what the marketplace is paying for your passion/work and how many people have the same idea and will compete with you. tks for the solid understanding. Greg- I absolutely agree that understanding the market is key. I am not sure it should dissuade you from trying- but it will certainly assist you in planning. Understanding what the market looks like may help you decide the amount of time you should give yourself before looking for something new, what type of preparations you will need and how you can make yourself stand out from the crowd (if there is a crowd). Thanks for the comment and the conversation.